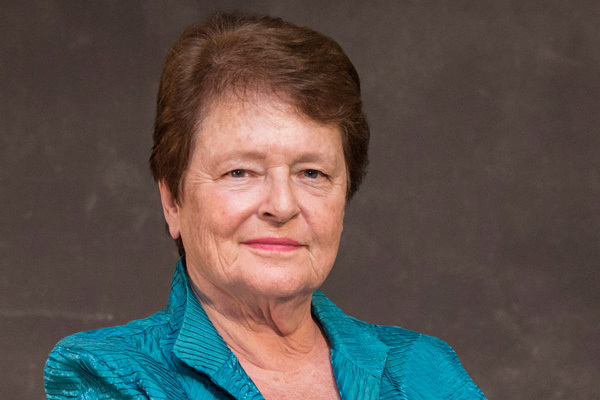 Gro Harlem Brundtland delivered the 2018 Barbara Ward Lecture at the International Institute for Environment and Development, speaking on her engagement with sustainable development over the last three decades. The Elders welcome the historic summit and call on both parties to continue serious engagement to make progress towards full denuclearisation of the Korean Peninsula. The Elders urge the United States to recommit funding to the United Nations Relief and Works Agency for Palestine Refugees (UNRWA) to prevent a drastic cut in its essential services such as healthcare and education to those in need across the Middle East. 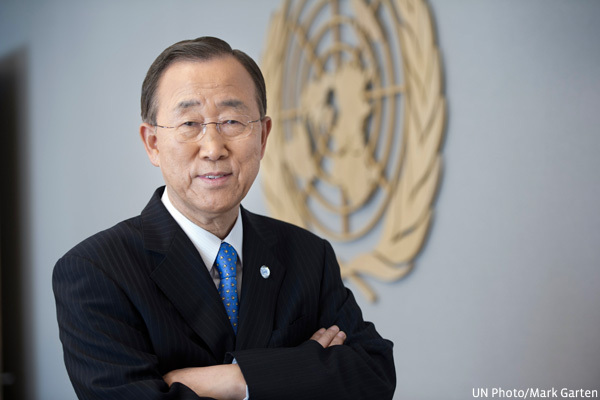 Ban Ki-moon urges politicians to have the courage to take difficult decisions rather than pandering to xenophobic or populist pressures. 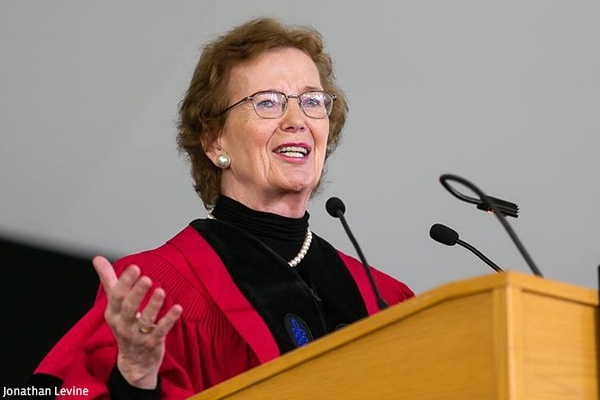 Addressing graduating students at the Harvard School of Public Health, Mary Robinson highlights the interrelated challenges of climate change and health - and the potential of young people to seize the opportunity to deliver positive change. 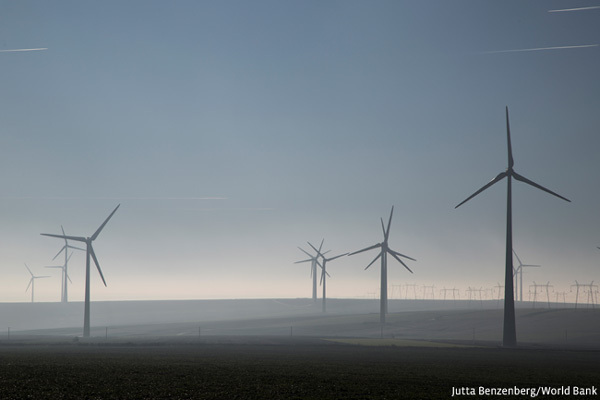 Who pays the costs of climate change? In the United States, it might be the oil industry. Katie Redford, Co-founder and Director of environmental justice group EarthRights International outlines how litigation against the fossil fuel industry can help achieve a fairer solution to the question of who pays for climate change. Discussing progress on UHC around the Commonwealth during the World Health Assembly, Graça Machel argues that delivering publicly financed healthcare is a political choice and challenges leaders to invest in their people's futures. 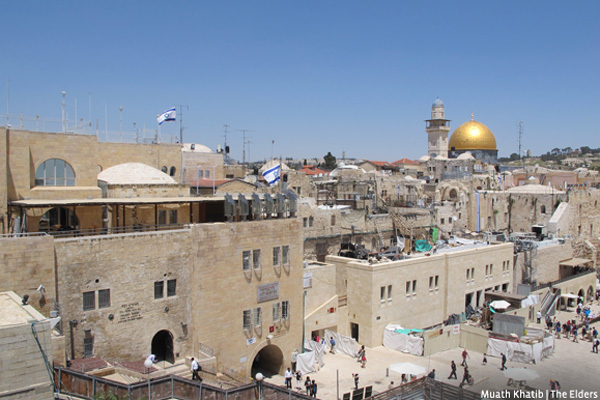 The Elders strongly criticised the US decision to move its Embassy in Israel to Jerusalem as a serious blow to peace between Israelis and Palestinians, and urged other countries not to follow suit. The Elders call on the Israeli Government to fully comply with international humanitarian law and respect the right to peaceful protest of Palestinians living in the Gaza Strip. The Elders strongly condemn President Trump’s decision to withdraw the US from the Iran nuclear deal and call on other signatories to continue to sustain its spirit and implementation. Reflections from the past month's #WalkTogether events and the increasing momentum to tackle economic inequality and achieve a more equitable world. 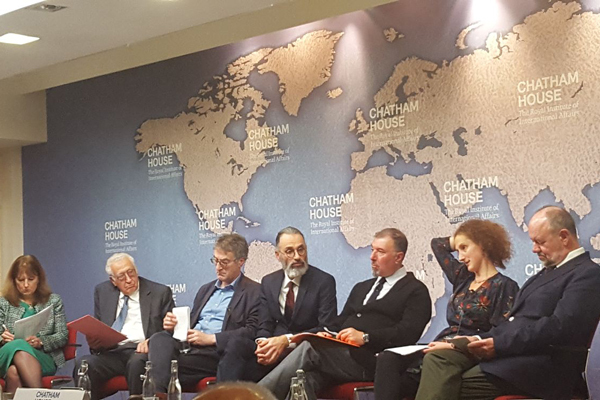 Hailing the Good Friday Agreement as an inspiration to others around the world, The Elders warn against the imposition of a "hard border" in the event of the UK leaving the EU’s Single Market and Customs Union after Brexit. The Elders today encouraged all political actors in Zimbabwe to deliver integrity and transparency across the country’s transition, including a level playing field ahead of the upcoming elections. The Elders will join the Fight Inequality Alliance and Atlantic Fellows for Social and Economic Equity at the LSE, on Tuesday 17 April to honour grassroots movements working to end inequality. 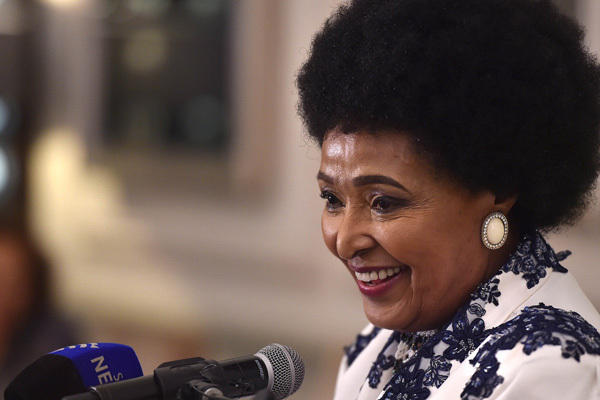 The Elders' statement on the passing of South African anti-Apartheid campaigner and former first lady Winnie Madikizela-Mandela. Praising recent gestures of reconciliation and inter-Korean cooperation, The Elders call on leaders in Washington, Pyongyang and Seoul to redouble efforts to resolve the nuclear tensions on the Korean Peninsula. 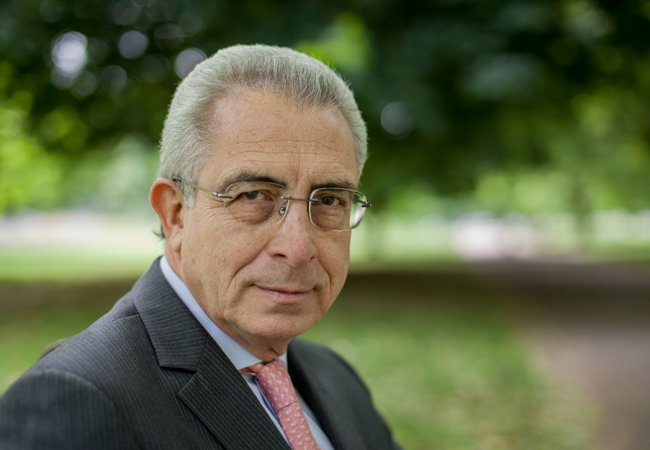 Decrying the U.S. decision to withdraw participation from the Global Compact for Migration, Ernesto Zedillo asserts that states can better protect their own citizens when they cooperate to overcome the challenges of migration. Following recent sectarian violence targeting Muslim communities on the island, The Elders call on the Government of Sri Lanka to end impunity for those committing and inciting violence, defend human rights and promote inter-communal reconciliation. 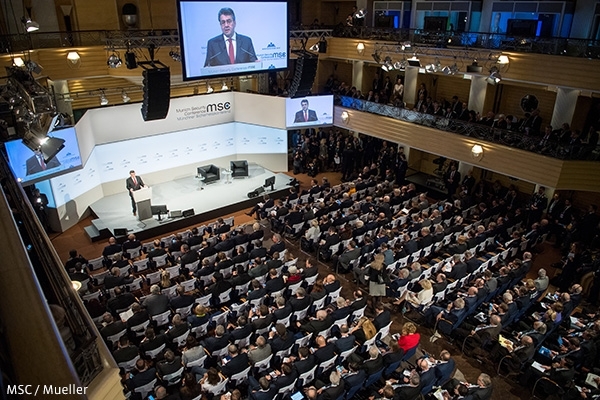 The Elders warn against provocative statements from the United States and Russia and urge the leaders of both countries to work together to avoid a dangerous escalation of nuclear tensions. 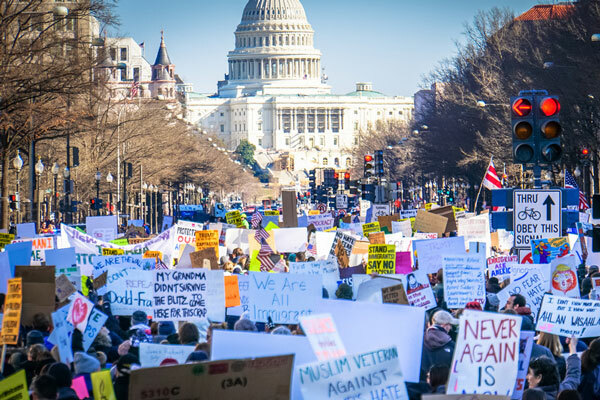 As this year’s International Women’s Day approaches, Hina Jilani reflects on the impressive achievements of global women’s protest movements over the past year and the barriers that remain to overcome. 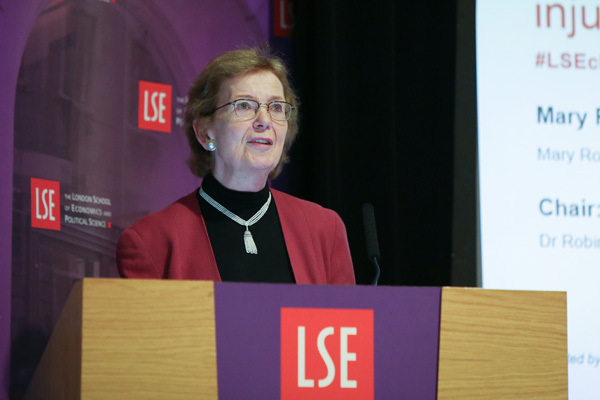 Seventeen years on from their joint pledge on tolerance and diversity, Mary Robinson reflects on Nelson Mandela's legacy at an event to mark his centenary and explains how these values remain relevant in today's polarised world. On their first official visit to Saudi Arabia, The Elders welcomed domestic reforms, and urged meaningful dialogue with its neighbours to resolve regional security crises. 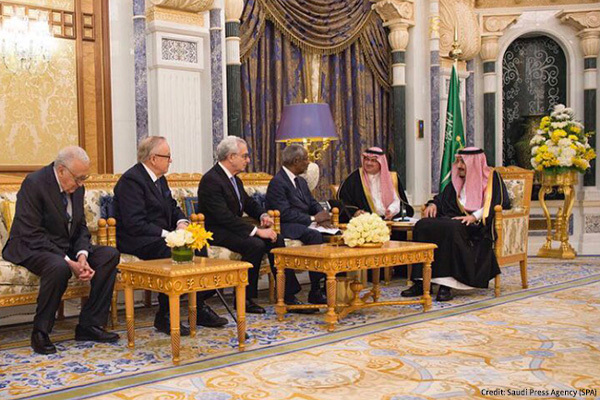 Kofi Annan leads The Elders’ first delegation to Saudi Arabia to discuss current social and economic reforms and security issues across the Middle East. 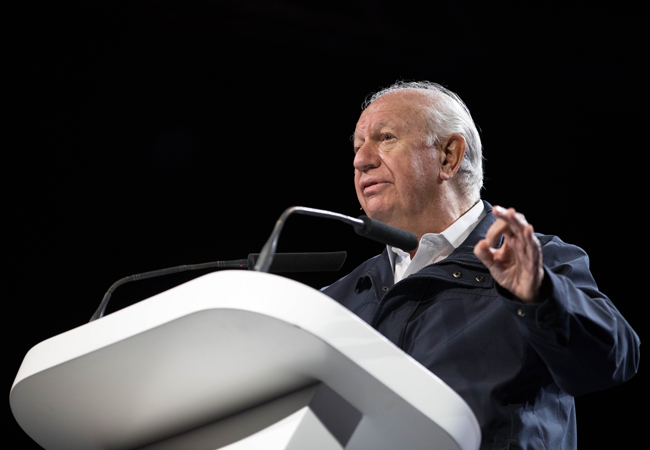 The Elders have urged Bulgaria to use its tenure to push for greater action and ambition on refugee resettlement through developing a strong Union Resettlement Framework. Condemning decades of failure, The Elders call for immediate and concerted action to provide relief and protect rights of the people of the Democratic Republic of Congo. 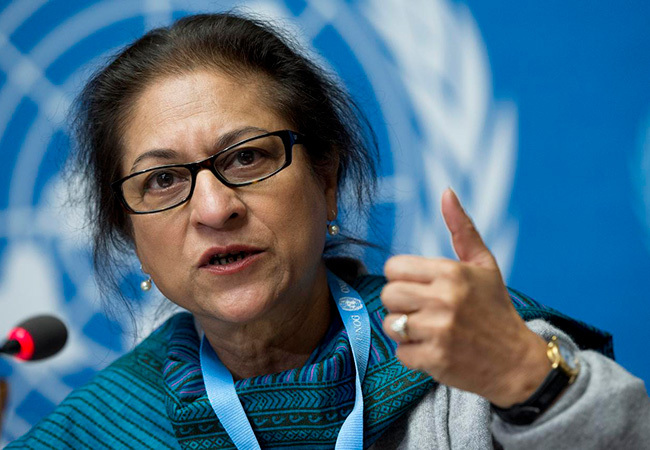 The Elders' statement on the untimely death of Pakistani lawyer and internationally respected human rights defender Asma Jahangir. 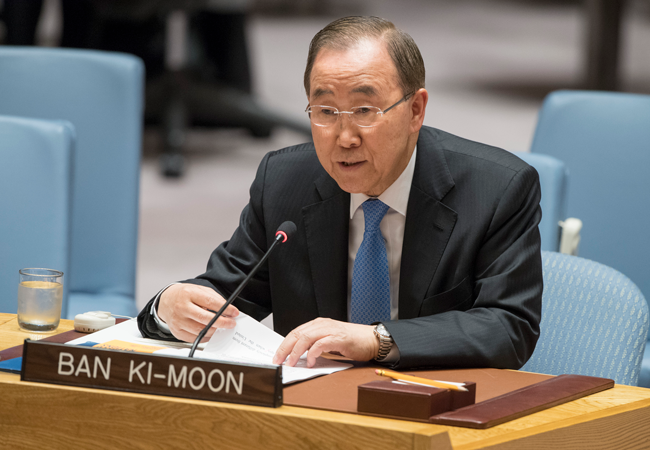 Writing in the Financial Times, Ban Ki-moon calls for continued dialogue in order to make meaningful progress to resolve nuclear tensions and reach a lasting peace on the Korean peninsula. 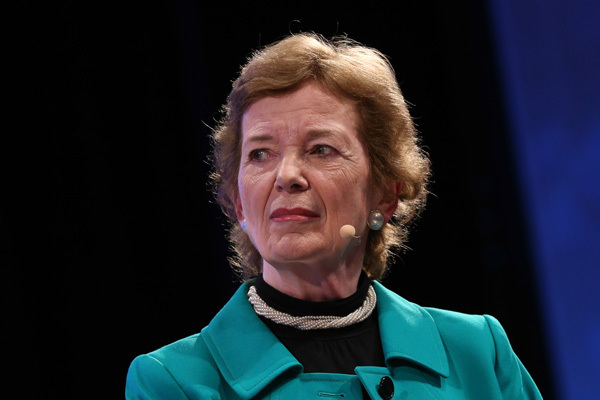 Mary Robinson calls for global solidarity and empathy with those most affected by climate change, putting the most vulnerable at the heart of decision making and urges a shift to a ‘1.5 degree mindset’. 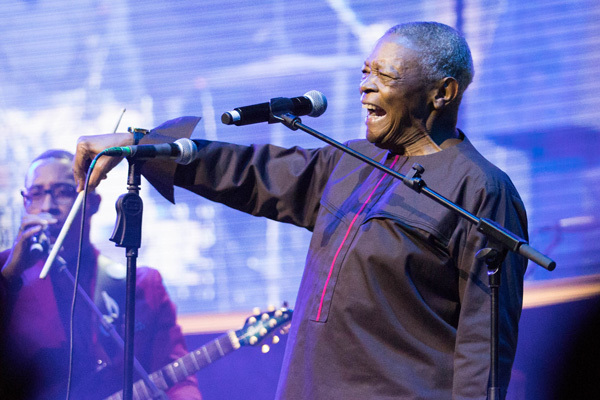 Remembering Hugh Masekela, a voice for justice whose music will live on to inspire future generations in their own struggles to build a freer, fairer world. 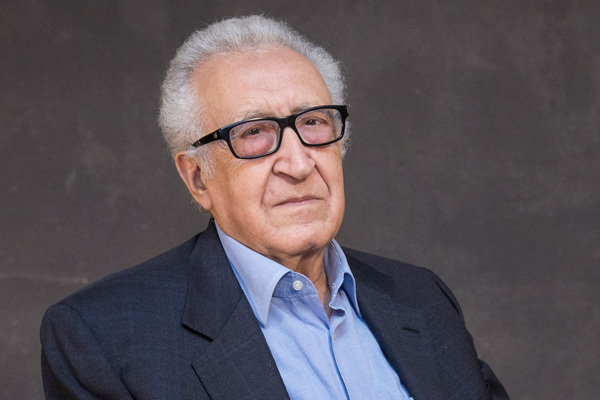 Lakhdar Brahimi discusses the current challenges facing the Middle East and calls for stronger regional cooperation in an interview for Chatham House's The World Today. 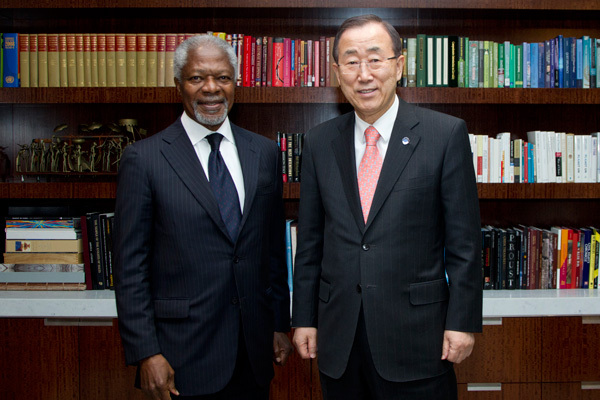 As we face unprecedented global challenges in 2018, Kofi Annan draws lessons from the life of Nelson Mandela, specifically the need for leaders to respect international law, human rights and act with compassion and empathy. 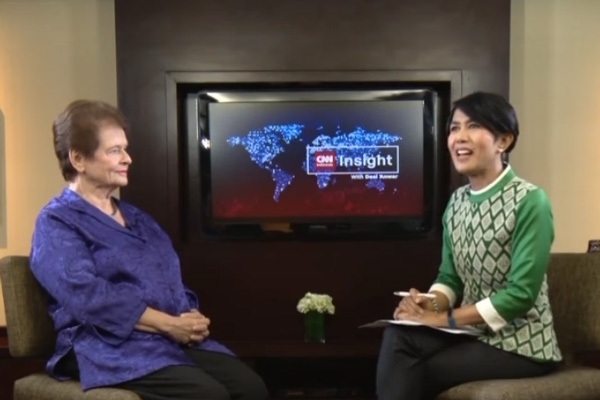 Gro Harlem Brundtland and Ernesto Zedillo discuss Indonesia's progress towards Universal Health Coverage in an interview with Desi Anwar for CNN Indonesia. 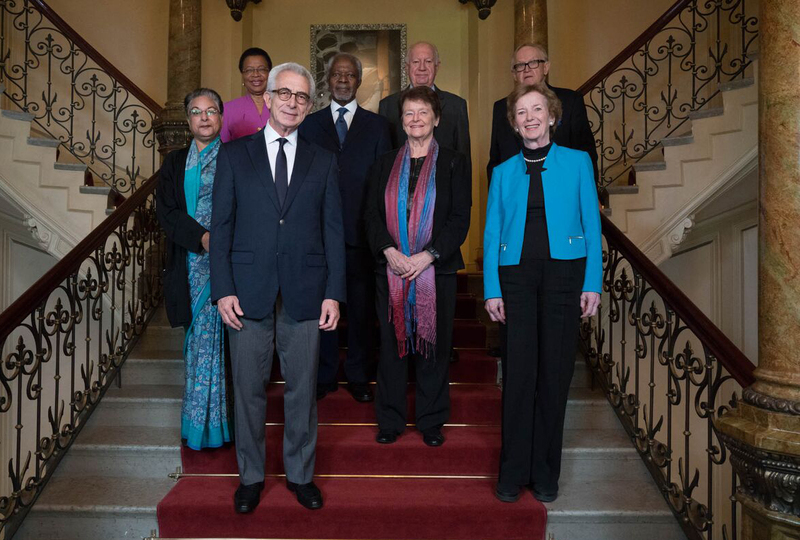 In an interview with AFP on 11 December, Kofi Annan, Ban Ki-Moon, Lakhdar Brahimi, Mary Robinson and Gro Harlem Brundtland discuss the lack of global political commitment to tackling the challenges facing the world today. Writing in All Africa, Graça Machel calls on political leaders to prioritise health and urges investment in healthcare across Africa to ensure access is affordable for all. 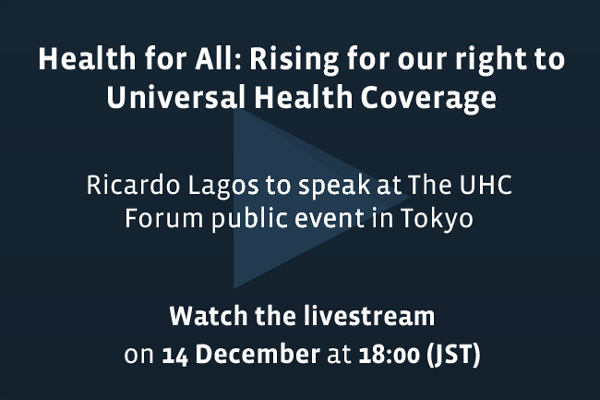 Ricardo Lagos reflects on his experience as President of Chile, highlighting the vital role of citizen demand to generate the political commitment needed to realise health for all at the UHC Forum public event in Tokyo. The Elders visited Paris from 11-12 December to meet President Emmanuel Macron for a discussion on global challenges from climate change to conflicts across the Middle East, and to participate at the One Planet climate summit. 2018 marks 100 years since Nelson Mandela's birth. Graça Machel and Richard Branson reflect on global challenges and call on individuals to #WalkTogether for a freer, fairer world. First published in The Economist's The World in 2018. Writing in The BMJ, Gro Harlem Brundtland welcomes new WHO guidelines as a crucial step to fighting antimicrobial resistance (AMR), but urges rapid action to combat this acute threat. 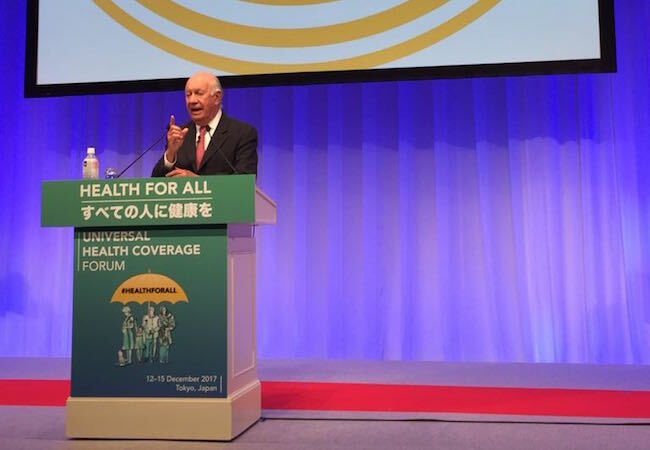 On 14 December, Ricardo Lagos joined world leaders, youth advocates and civil society to call for all political leaders to make Universal Health Coverage their top priority at the Universal Health Coverage Forum's public event in Tokyo. 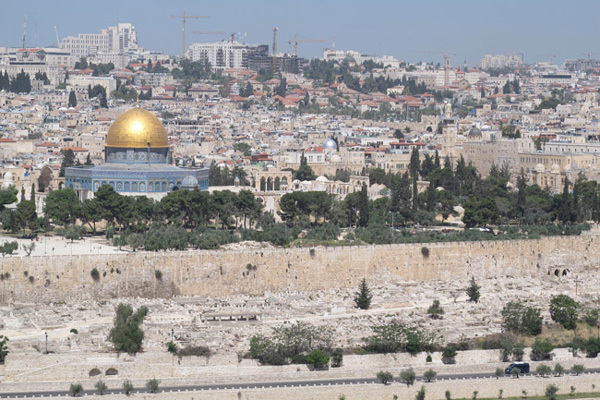 The Elders condemn US President Donald Trump’s unilateral decision to recognise Jerusalem as the capital of Israel as a grave threat to peace across the Middle East. 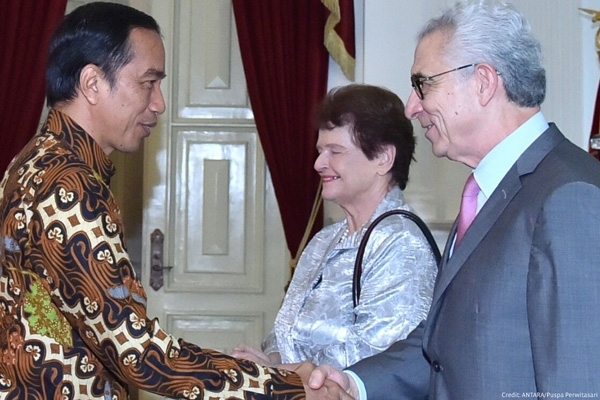 Concluding a two-day visit to Indonesia, The Elders call for the government to take bolder fiscal, political and social measures to accelerate progress towards Universal Health Coverage (UHC). The Elders today called on all political, military and civil society leaders in Zimbabwe to work together towards free and fair elections and a peaceful, inclusive transition following the resignation of former President Robert Mugabe. Delivering the keynote speech at the EU Colloquium on Fundamental Rights in Brussels on 20 November, Mary Robinson highlighted formidable challenges facing women's rights today and the importance of not losing hope. 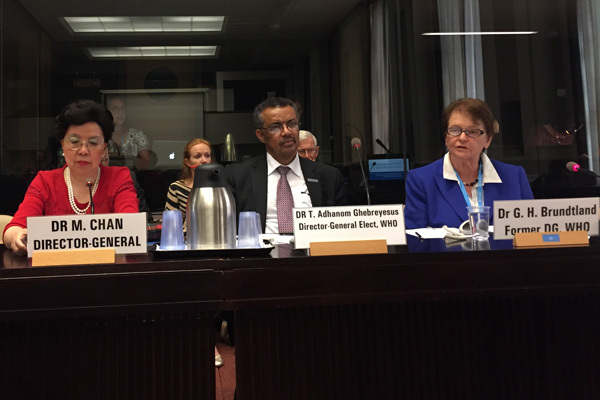 Joining policymakers, health professionals and civil society partners on 8 November in New York, Ban Ki-moon and Gro Brundtland called for courageous political leadership to ensure that when it comes to health coverage, no American is left behind. 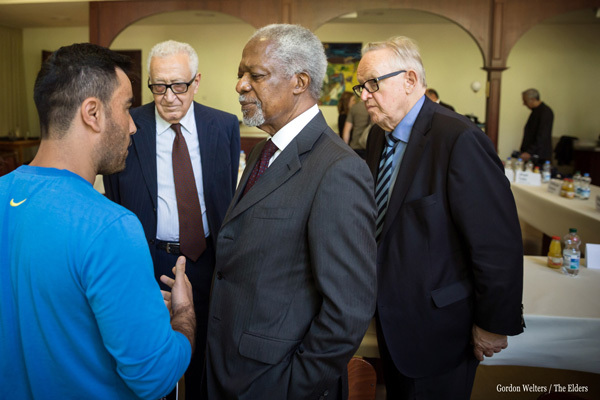 The Elders call on Saudi Arabia and its coalition partners to lift the land, sea, and air blockade of Yemen to avert an escalation of the humanitarian disaster in the war-stricken country. 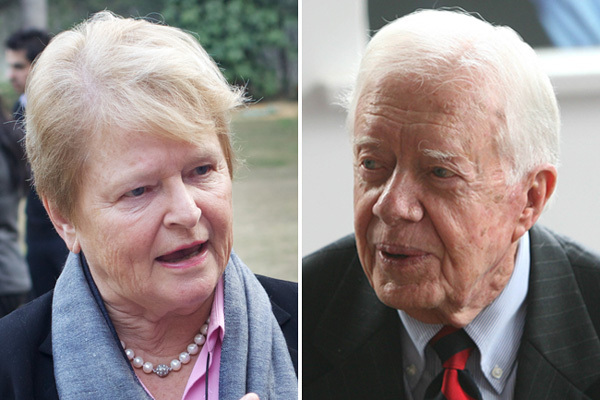 Writing in TIME, Gro Brundtland and Jimmy Carter decry the lack of universal health coverage in the United States as a national scandal. They call for political courage and urge individual States to lead the way where Capitol Hill is paralysed. 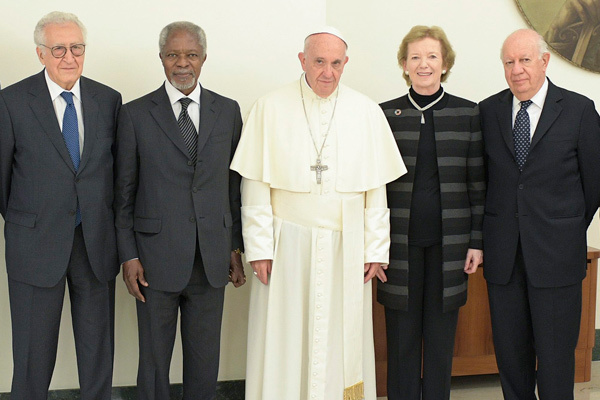 The Elders met His Holiness Pope Francis at the Vatican on Monday 6 November to express their appreciation and support for his work on global peace, refugees and migration, and climate change. The Elders express grave concern about the political crisis in Kenya. They urge political leaders and their parties to demonstrate statesmanship to avoid further deepening the polarisation of Kenyan society. 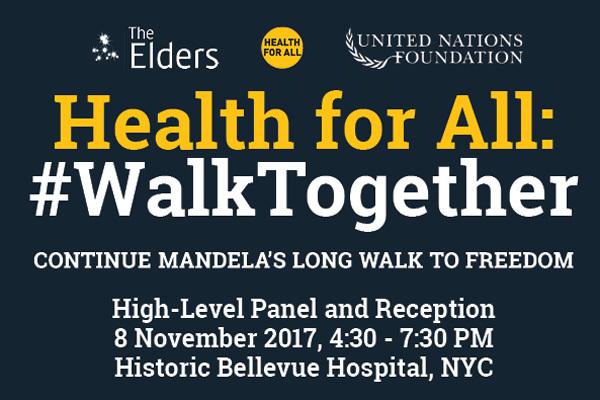 On 8 November, Ban Ki-moon and Gro Brundtland will #WalkTogether for Health for All at the historic Bellevue Hospital in New York City. 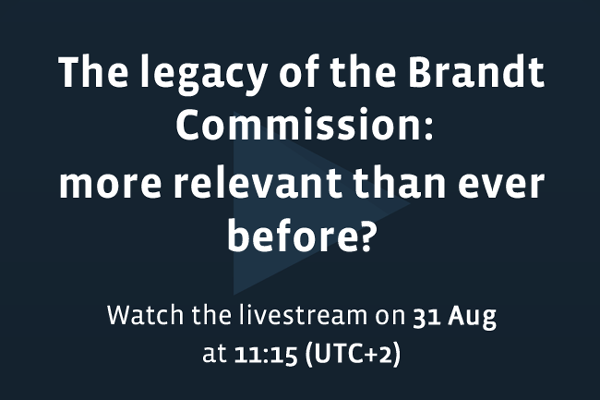 Follow the event on Twitter from 16:30 EST. 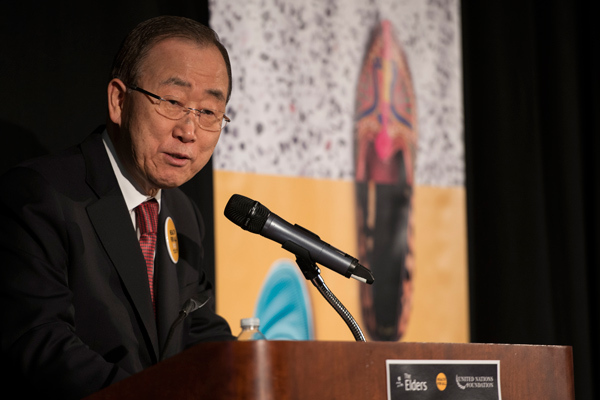 Following his first Elders' board meeting and conversation with the British Council's future young leaders, Ban Ki-moon reflects on the need to ensure a more peaceful world to allow younger generations to meet their potential to the fullest extent. 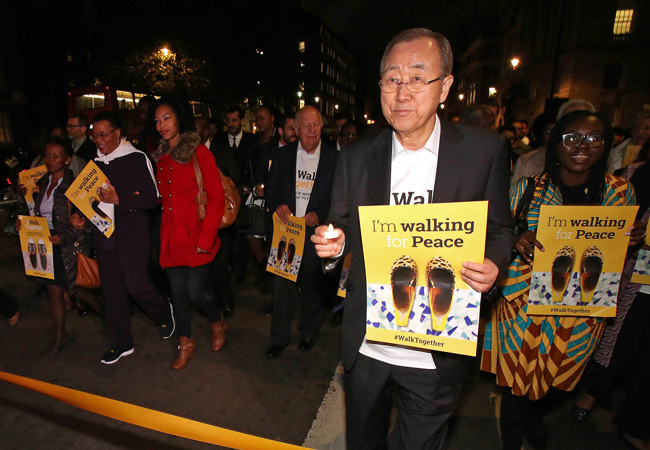 On 23 October, six Elders joined young leaders in a walk through central London for peace, tolerance and solidarity. They then joined members of the British Council's Future Leaders Connect programme for a panel discussion. The Elders urge the government of Myanmar and military leaders to end all military operations and to fully implement the final report of the Rakhine Commission in order to allow hundreds of thousands of displaced Rohingya to return to their homes. 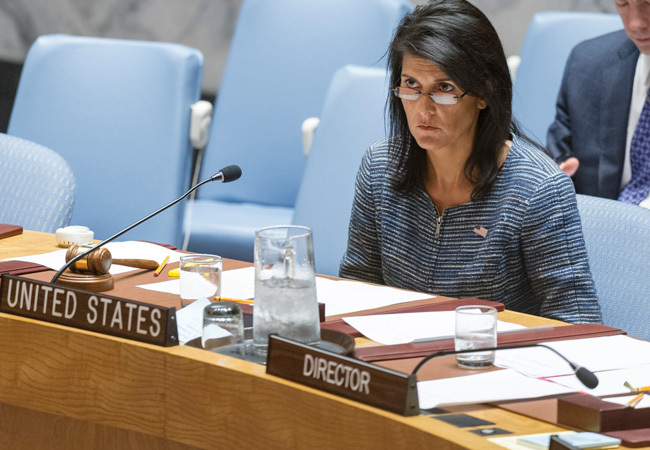 Writing in Newsweek to coincide with Ambassador Nikki Haley's visit to the region, Ernesto Zedillo calls on the United States to take firm steps to end impunity for war crimes in South Sudan. 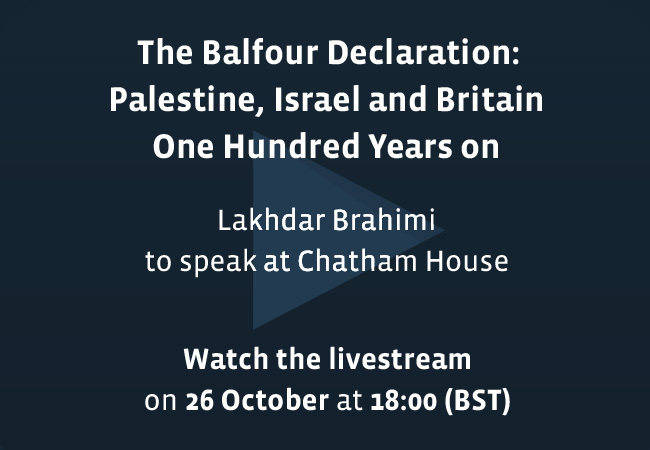 Lakhdar Brahimi to join Chatham House panel on 26 October, marking 100 years since the Balfour Declaration – a promise that immeasurably altered the geopolitical landscape of the Middle East and one whose political and social impact is felt to this day. 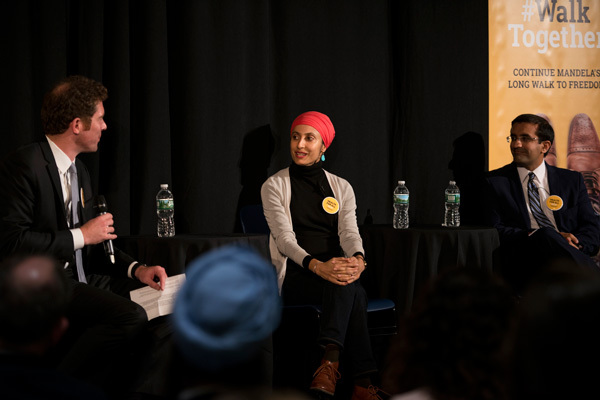 Livestream: How can youth leaders lay the groundwork for Peace? 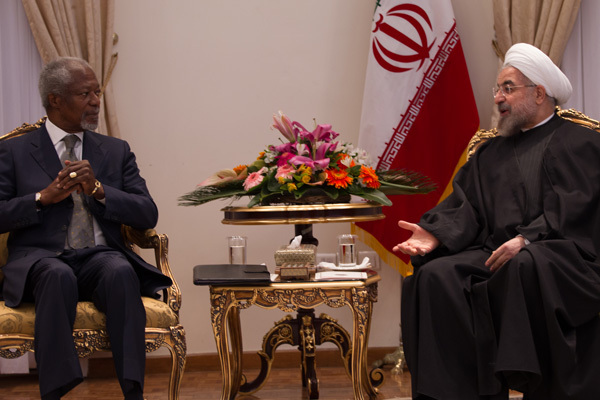 The Elders deplore in the strongest terms the decision of US President Donald Trump to decertify the Iran nuclear deal as a threat to global peace and stability. The Elders express dismay over the announcements by the United States and Israel that they intend to withdraw from membership of UNESCO. The Elders warmly welcome the reconciliation agreement reached by Fatah and Hamas as an essential step towards the full reunification of the West Bank and Gaza, keeping alive prospects for the peaceful emergence of a Palestinian state. 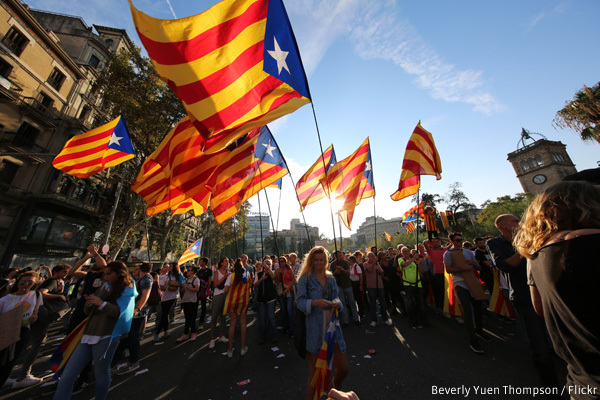 The Elders express their deep concern at the recent violent confrontation in Catalonia and urged both sides to pursue a peaceful resolution through dialogue. 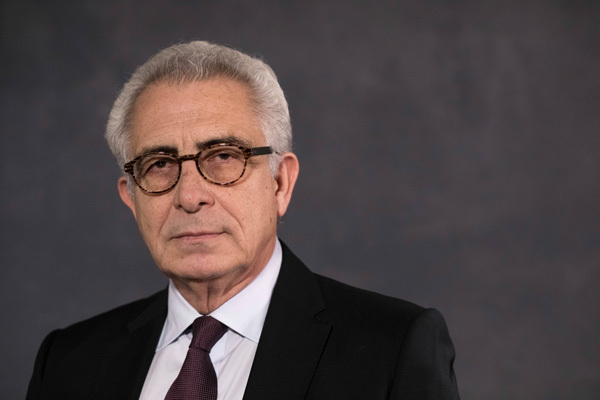 Reflecting on the power of solidarity and empathy, Ernesto Zedillo urges people to take action and demand that leaders end the suffering of victims of natural disasters, conflicts and violence across the world. 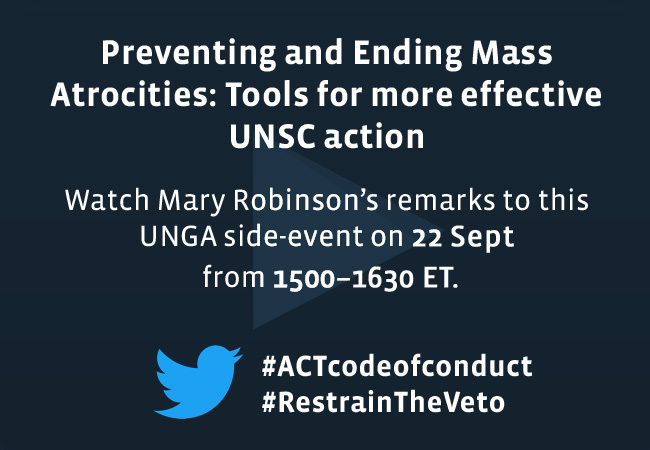 At a UNGA side-event on preventing and ending mass atrocities, Mary Robinson welcomed and urged the implementation of the two Code of Conduct initiatives spearheaded by the ACT group and the French/Mexican governments to end such crimes. Following the recent nuclear test and missile launches by the Democratic People’s Republic of Korea (DPRK), The Elders express concern and urge the leaders of the United States and of the DPRK to search for a peaceful solution to the crisis. 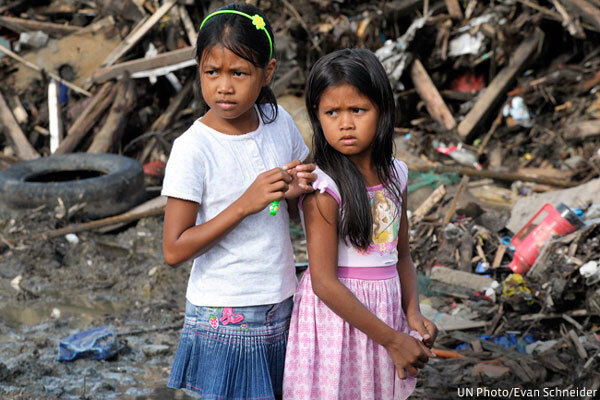 Livestream: how can the UN Security Council end mass atrocities? 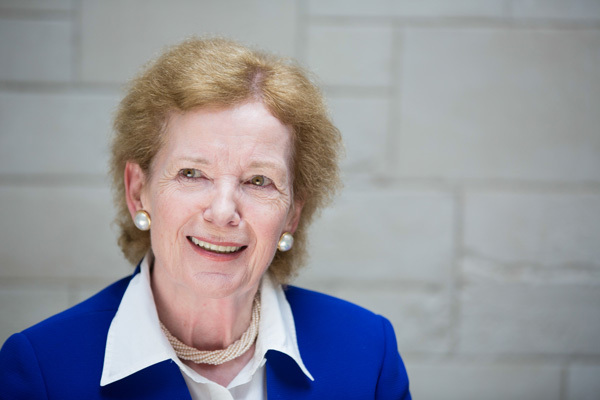 On 22 September, Mary Robinson will join a panel discussion on the progress made and the remaining challenges to ensure a more effective UN Security Council action to prevent and end mass atrocities. 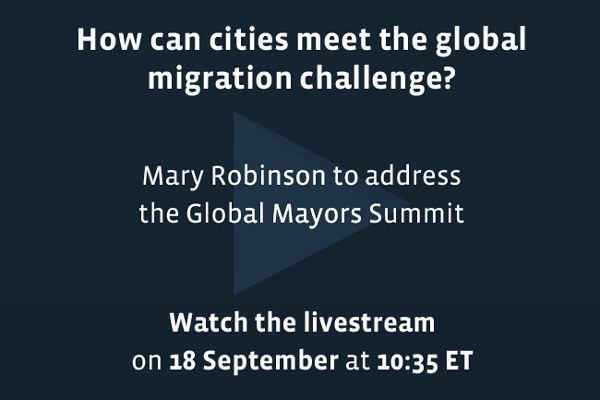 On 18 September, Mary Robinson will address the Global Mayors Summit in New York on the role of cities in meeting the global migration challenge. Watch the livestream at 10:35 ET. Livestream: how can global citizens #WalkTogether to foster peace? 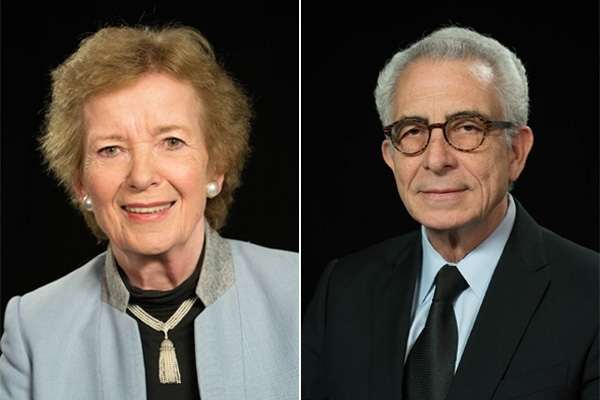 Mary Robinson and Ernesto Zedillo join Emmanuel Jal at "We The Future" to mark the International Day of Peace. 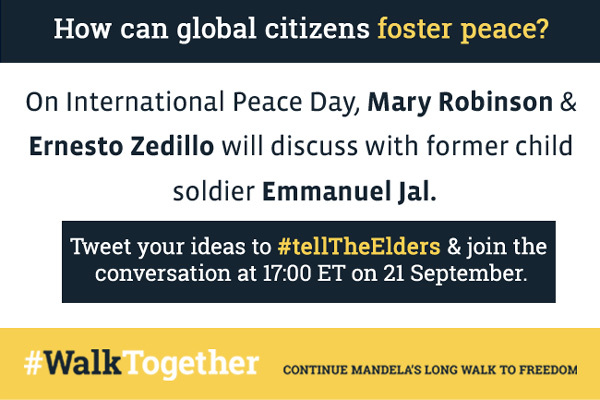 Join the conversation by tweeting #tellTheElders and watch the livestream. 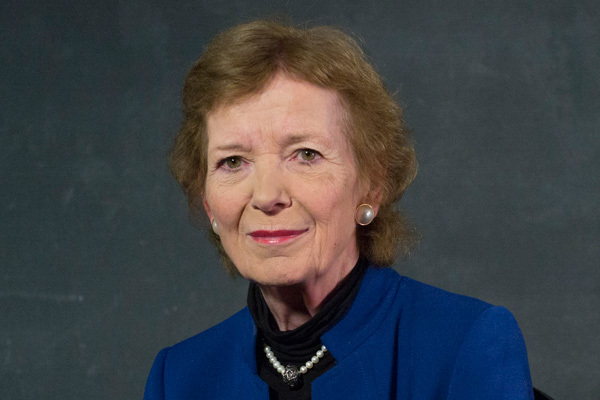 Writing in Newsweek, Mary Robinson calls on cities to defiantly lead on global challenges like climate change and migration, especially when national leaders spurn their responsibilities. 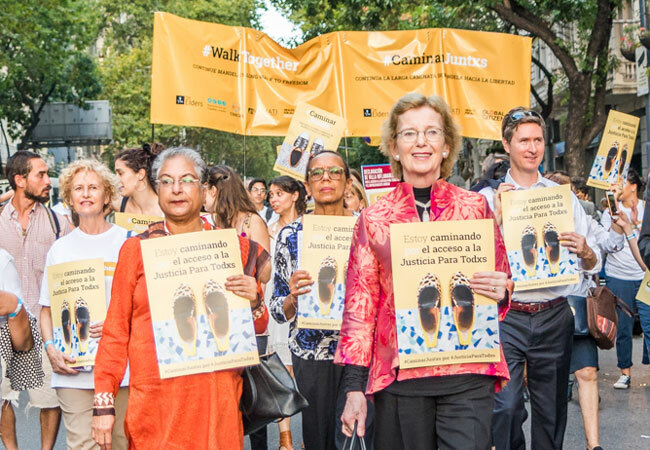 In July 2017, The Elders and civil society partners launched #WalkTogether: a global campaign to spark hope in the world and to encourage communities to work together and bridge the global fault lines of division, hate and xenophobia. 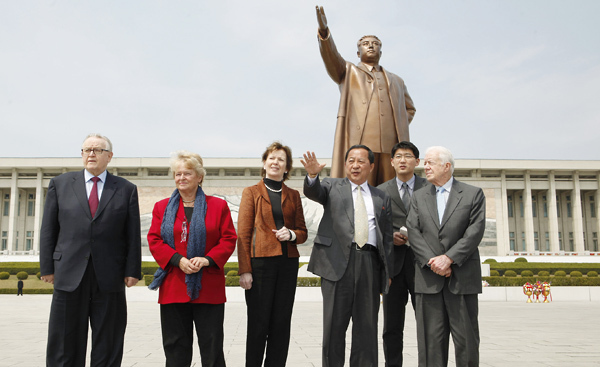 Reflecting on the legacy of German post-war leader Willy Brandt, Gro Harlem Brundtland rejects recent isolationist trends and celebrates collective efforts towards achieving a peaceful, just and sustainable world. Gro Harlem Brundtland joins a panel discussion in Berlin to mark 40 years of common efforts for a peaceful, just and sustainable world. 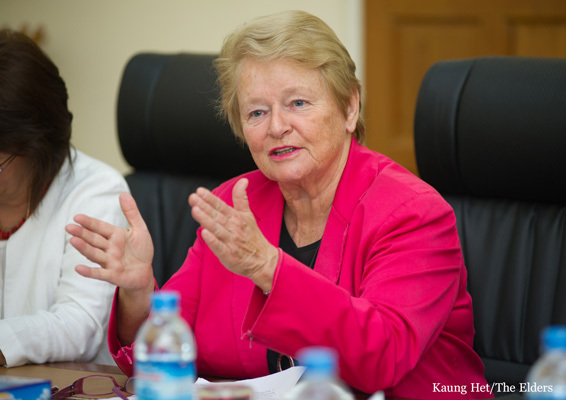 In July 2017, Graça Machel and Mary Robinson visited Tanzania to promote progress towards Universal Health Coverage. Graça Machel and Mary Robinson visited Tanzania in July 2017 to learn about and encourage progress towards Universal Health Coverage. 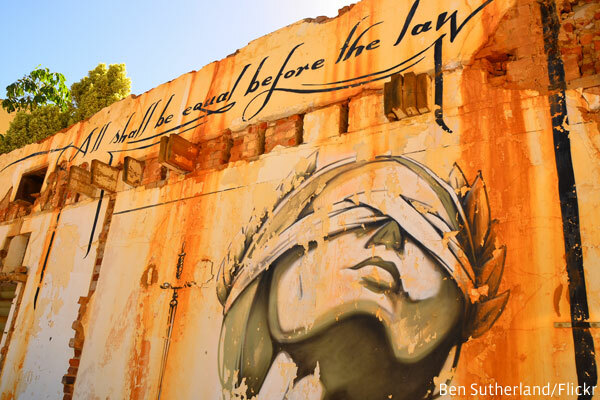 Writing ahead of International Youth Day, student volunteer Jordan Pieters reflects on The Elders' visit to District Six and the crucial role the museum plays in confronting historic and contemporary injustice in post-apartheid South Africa. 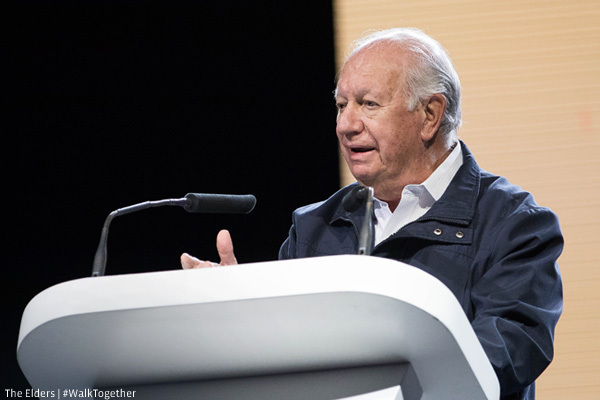 Ricardo Lagos reflects on the launch of the Walk Together campaign and calls for sustained commitment to counter the threats that face global freedoms today. 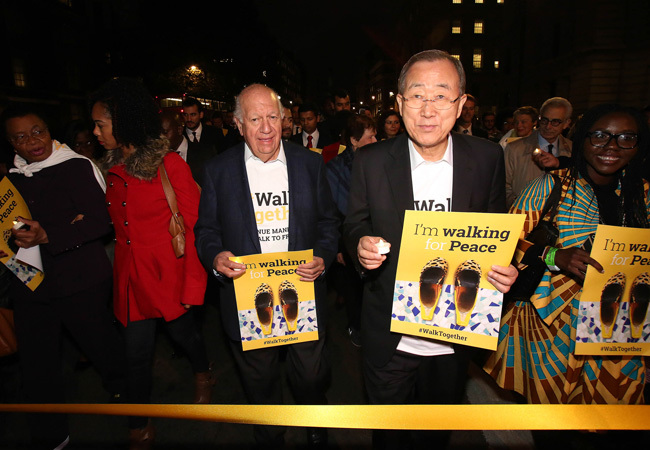 On 18 July, The Elders marked their 10th birthday by launching #WalkTogether – a global campaign to help bridge the global faultlines of division, hate and xenophobia. Watch the livestream here. 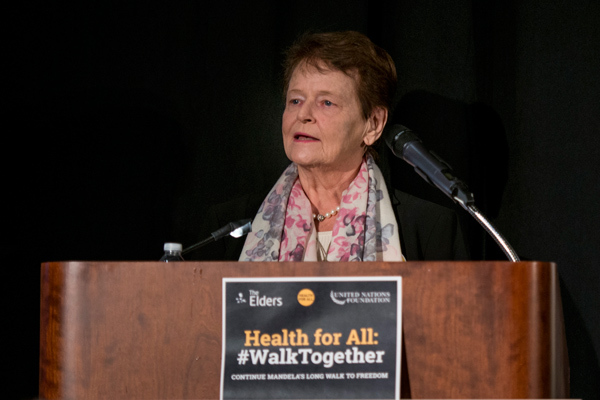 Writing in the British Medical Journal, Gro Harlem Brundtland explains how Universal Health Coverage is a matter of political commitment since it consists of a political process ensuring the creation of an equitable health financing system. Reflecting on our past achievement and future commitments, Graça Machel invites you all to celebrate The Elders' 10th anniversary on July 18 by joining the Walk Together campaign and continuing Madiba's long walk to freedom. 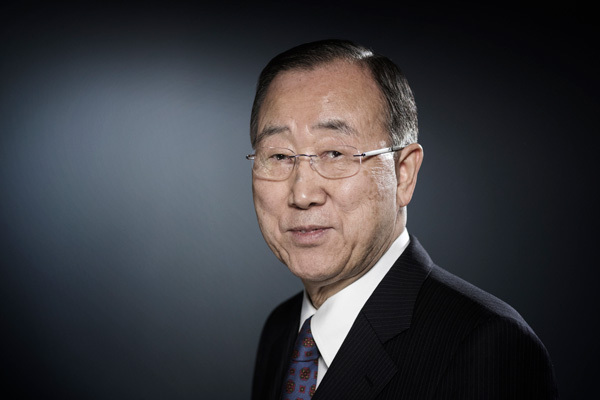 Ban Ki-moon, former Secretary-General of the United Nations, announced as a new member of The Elders. 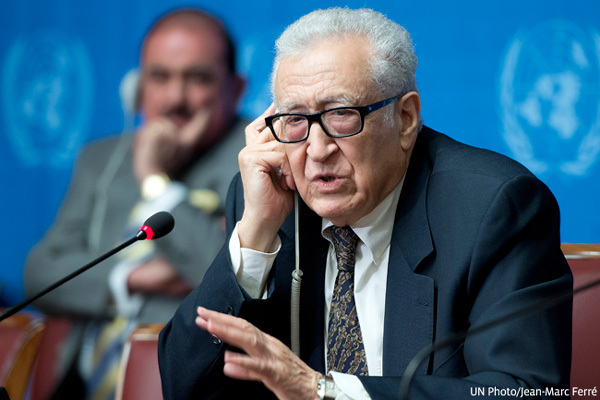 Marking 50 years of occupation, Lakhdar Brahimi addresses the UN Security Council on the Israel-Palestine conflict. 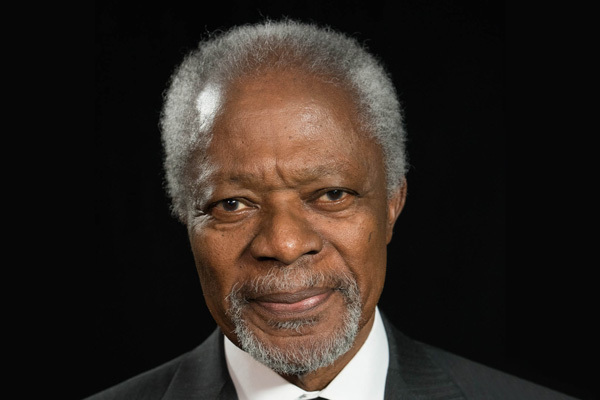 Kofi Annan: Why Are Only Poor Countries Taking Refugees? 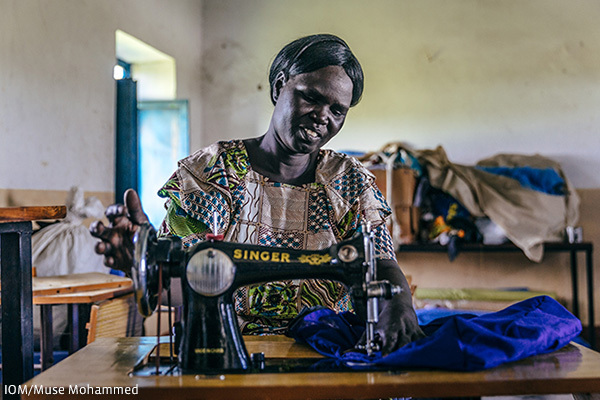 Writing in TIME Magazine, Kofi Annan urges leaders to act responsibly and to commit to cooperation and burden-sharing to ensure the protection of refugees' human rights and dignity. Following The Elders' board meeting, Martti Ahtisaari reflects on the importance of maintaining multilateralism at the heart of international relations in order to overcome today's greatest challenges, particularly climate change. 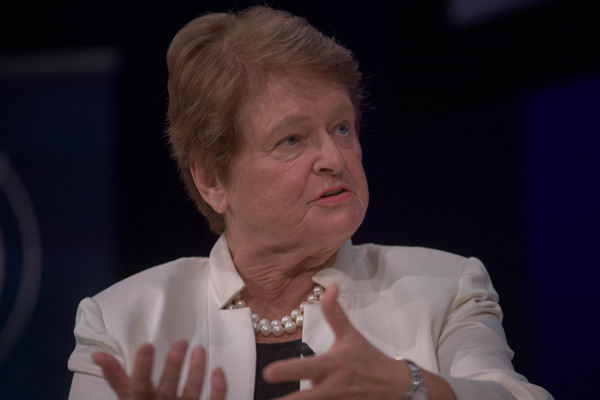 In a speech to the 70th World Health Assembly, Gro Harlem Brundtland explains why Universal Health Coverage is grounded in human rights and is possible for all, with genuine political commitment. The Elders condemn US for quitting Paris climate agreement: no one country can dismantle it. The Elders condemn President Trump's decision to quit the Paris Agreement on climate change. They urge the other signatories to ambitiously increase their efforts to address climate change. 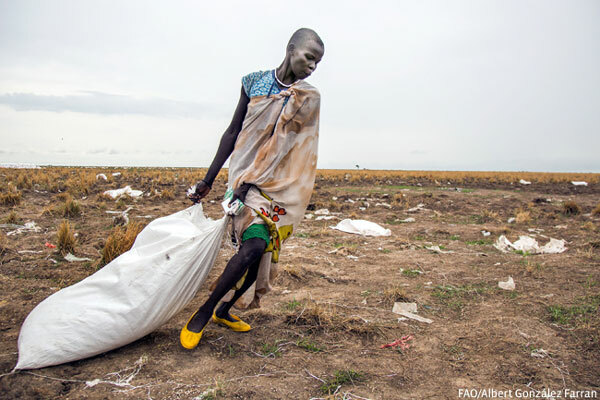 The Elders condemn the political paralysis and failure of leadership at all levels in South Sudan in the face of worsening famine and humanitarian disaster. The Elders call on the United States to reaffirm its support for the Paris Agreement on climate change and show leadership and ambition in tackling the threat posed by global warming. The Elders condemned the terror attack in Manchester and expressed their deepest condolences to the families and loved ones of those killed and injured, and to all the people of the United Kingdom. 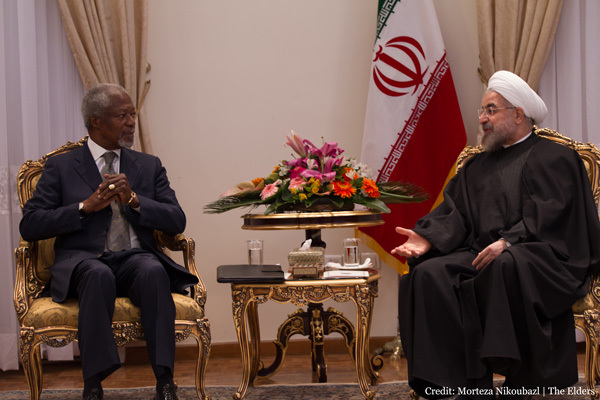 The Elders welcome the re-election of President Hassan Rouhani in Iran as a sign that the Iranian people clearly desire peaceful relations with the outside world and a more tolerant society at home.